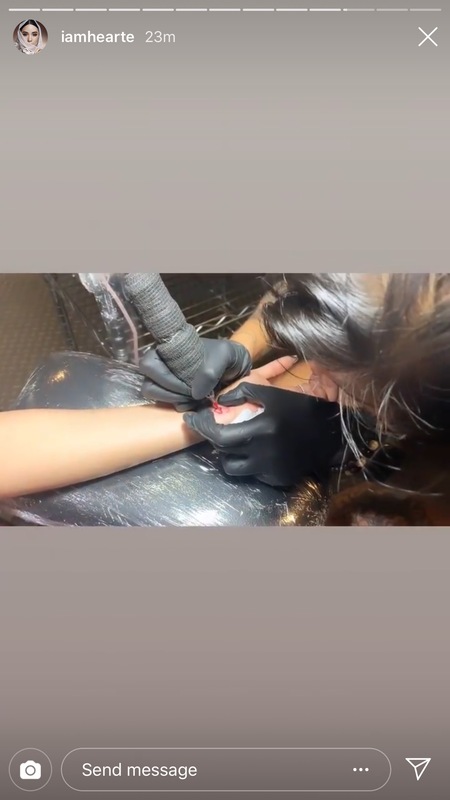 Celebrities are fearlessly getting tattoos to express themselves. 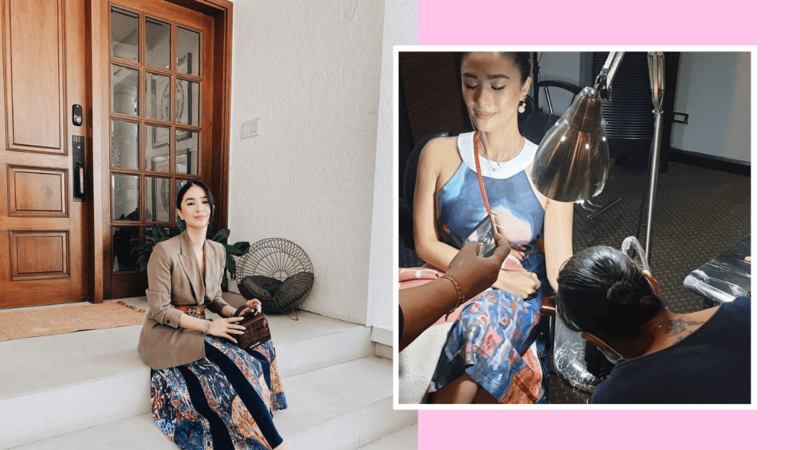 And the latest celebrity to get inked? 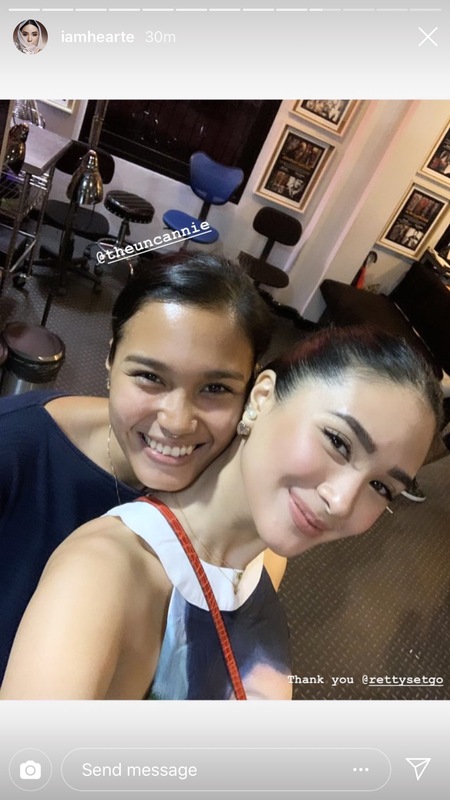 Heart Evangelista! 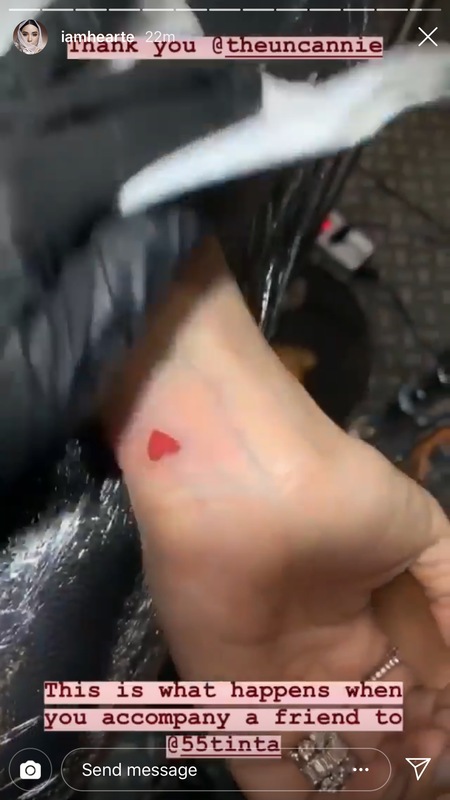 Heart took to Instagram Stories and posted a series of photos and videos as she got a minimalist tattoo of a little red heart on her left wrist. The new ink was done by tattoo artist, Annie Concepcion of 55 Tinta. It’s not the first time that Heart got a tattoo. In September 2018, Heart was over at P&P Tattoo to get her ears pierced and even got a super tiny purple heart tattoo.